Plate with vertical sides. 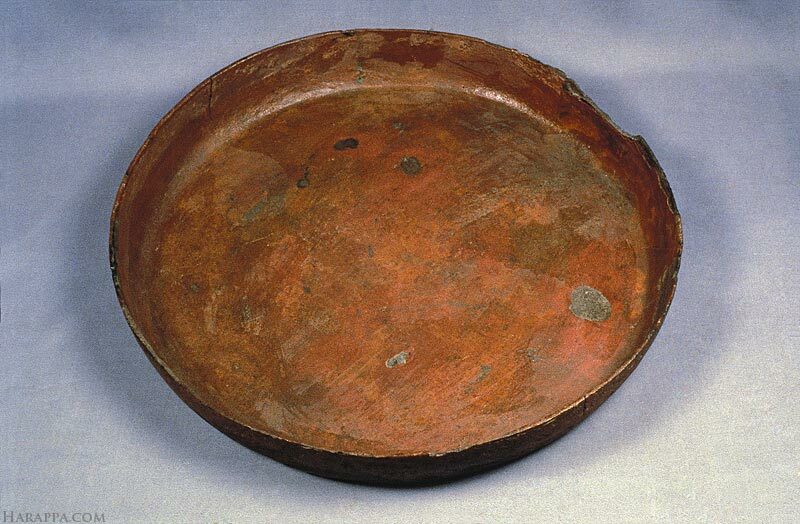 Copper and bronze plates were probably used exclusively by wealthy upper class city dwellers. Dimensions: 4.3 cm height, 30.3 cm dia.